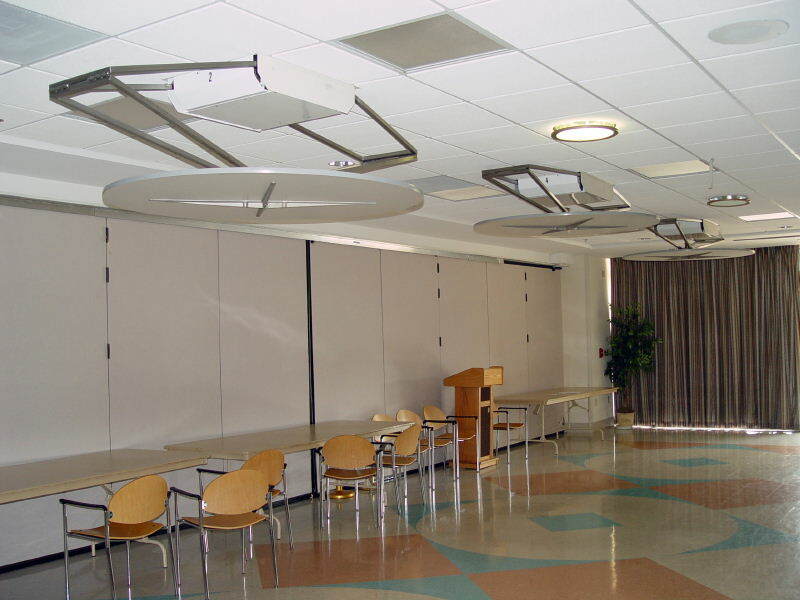 Table units are designed to fit between the standard 24” hung ceiling tracks and they can be supplied with structural support frames for deck, rafter, or bar joist installation support. 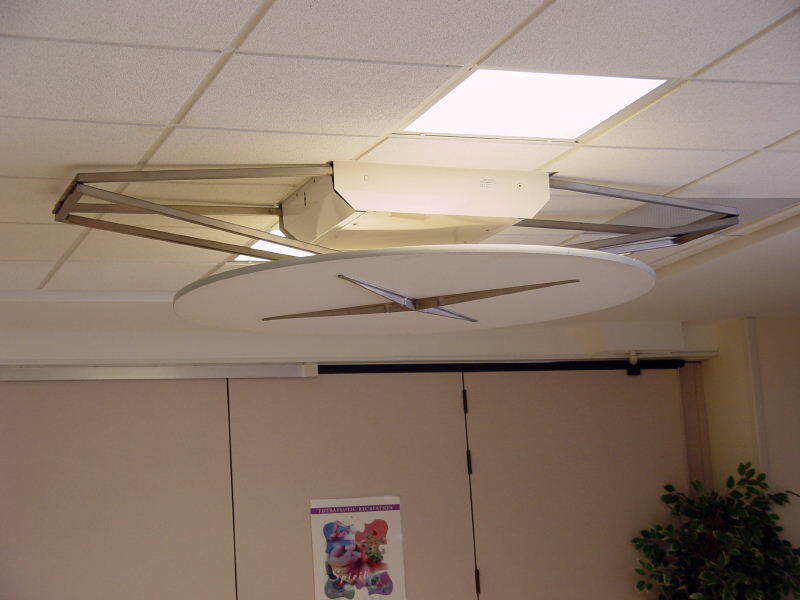 A “troffer” frame is available for recessing the table unit into the ceiling. This accessory will provide an additional 8” of floor clearance and it also allows for the installation of 24” x 24” lay-in light fixtures if desired. Weight Support requirements 195 lbs. Individual “UP/DOWN” SPDT momentary contact (Pass & Seymour # 1205 or equiv. By others). (Optional) Electric Key switch - This lock-out control is suggested in areas where staff control of the tables is necessary. AF 1000E- Ceiling Suspended table assembly with 60” diameter table top, stainless steel support arms and high-pressure laminate table top. RMF3024-4- Recessed Mounting Frame with Trim Flange for drywall (GWB) ceiling. RMF9624-F - Recessed mounting frame for lights. SMF1000 - Structural Mounting Frame for deck or welding to bar joist.